Pregnancy for a woman sometimes become more difficult than our imagination. During pregnancy the changes both physical as well as emotional becomes challenging. During this whole time along with the hormonal changes and cravings for food, the skin also experiences some changes. This change is known as pregnancy glow and it may start at different times for different women. 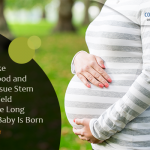 However, the changes of skin are mainly noticed during the second trimester due to the increase in level of hormones. Get plenty of water to drink. Staying hydrated keeps your skin moisturized and makes it feel radiant throughout the day. It also helps to reduce the retention of water in the body during pregnancy, as well as to promote healthy pregnancy. Maintain clean skin. While oil secretion may keep your skin moisturized, excess oil may result in breakouts of acne. It is therefore important that you regularly wash your face. Use low pH soaps to protect your skin against dryness. Get plenty of sleep. The key to keeping your pregnancy glow can be adequate sleep as it leaves keeps you fresh all the day. Try to remain away from sun as excessive exposure to sun can make hyperpigmentation more likely. If you need to go out, use hats or take other protective measures. Try to do yoga as it will help to improve the health and brightness of the skin. So, a class of pregnancy yoga can help you keep that glow. Avoid or reduce small soy consumption, as the chances of hyperpigmentation are known to increase. Talk to your doctor about simple exercises. You can always put your feet up and relax if your doctor recommends that you do not strain yourself. In addition to these you must pay attention towards your diet and that will help you to keep your skin healthy. Your diet must contain protein rich foods such as eggs, fish, foods rich in antioxidants, nuts containing folic acids and fruits such as pomegranate and watermelon for minerals. An organic diet will help to provide clean and unclogged skin. Cut the refined sugars and grains (as opposed to eating whole grains), saturated fats (found in fried foods), and too much milk. Instead, add foods like organic greens, avocado, salmon, walnuts, fresh fruits and vegetables to the skin that nourish. At the times when your bump becomes a baby, the skin disorders you experience during pregnancy will be gone. Even though these symptoms naturally fade, nine months is a long time for your skin not to feel great. We hope these tips will help you to maintain pregnancy glow and take proper skin care during pregnancy. Of course, after your little one arrives, the deepest rewards of motherhood will keep you glowing.